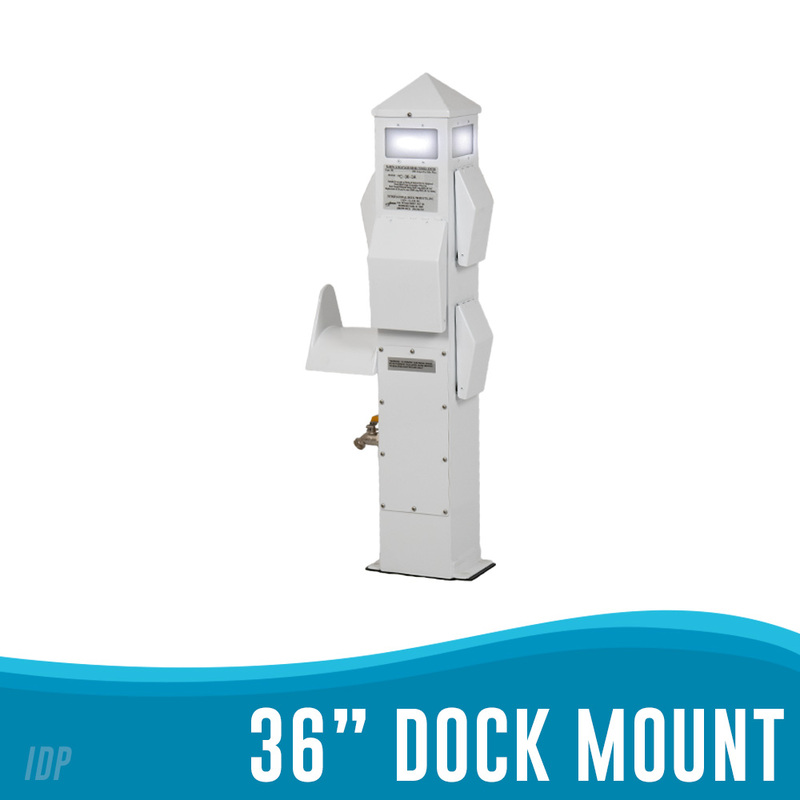 International Dock has a pedestal for every need. 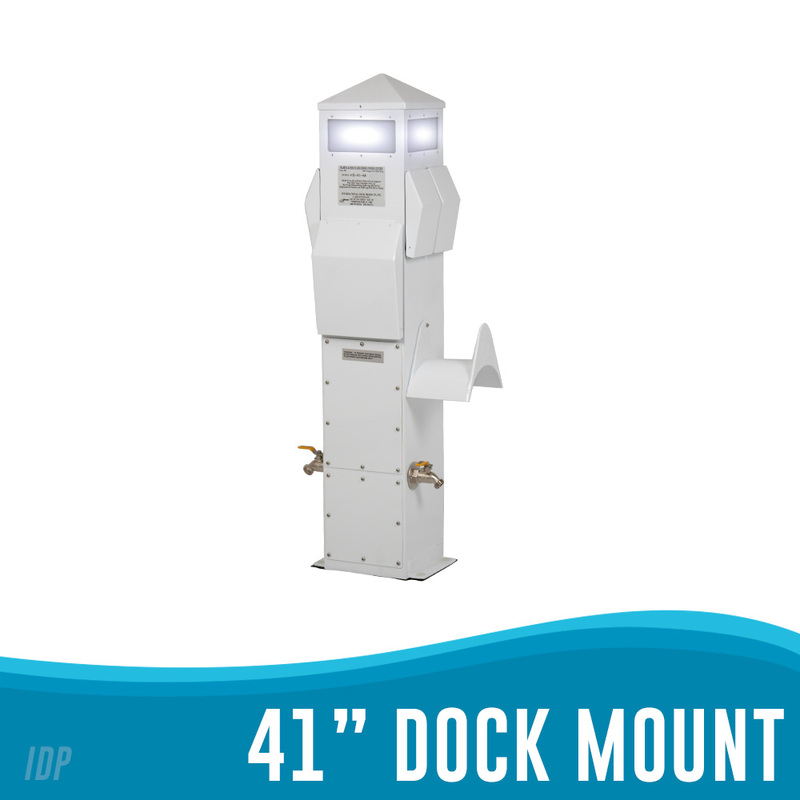 From our 21” piling or wall mount to our custom double 8” x 16” x 45” pedestal for twin 100 amp service our capabilities are endless. We welcome custom orders and can be flexible to your requirements because each pedestal is built and tested on-site. Marinas choose our Fire Extinguisher pedestal to meet local regulations. This unit comes with a clear door, a solid latch and a light with photocell. Available in our standard gloss white or gloss red powder coat. 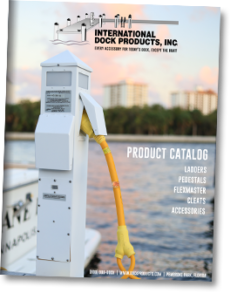 Marinas, Condominium Associations and Yacht Clubs can order their pedestals with water meters, electrical meters, or both. Controlling costs are always a top priority, so take out the guess work and give yourself the ability to accurately bill utilities to the slip holders. 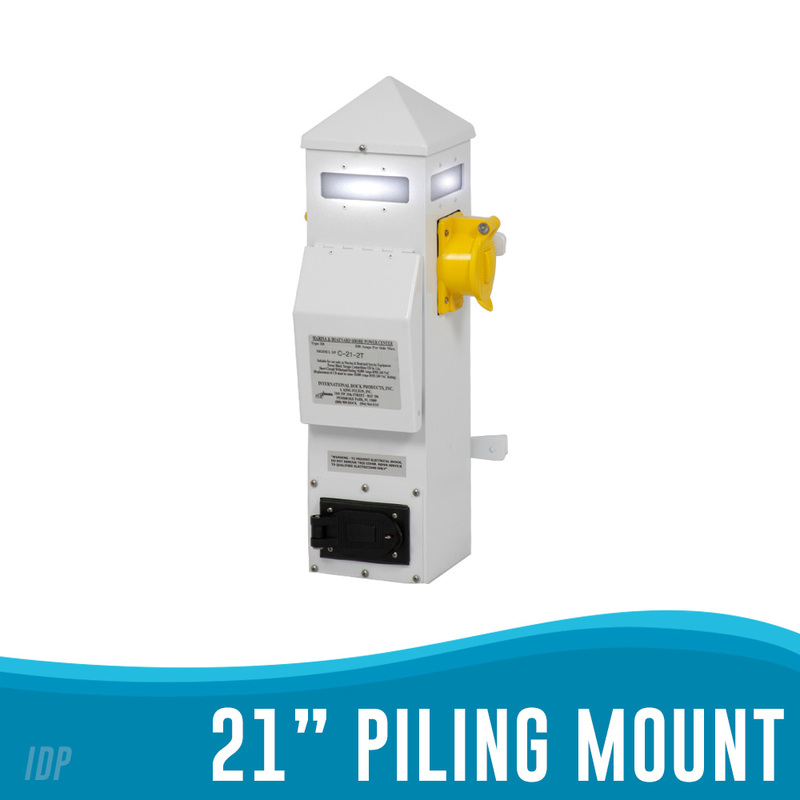 Not all pedestal models can accept the metering option, check with your salesperson for more information.